Lovely Lola was luckily rescued from the street just before she was about to be hit by a car! 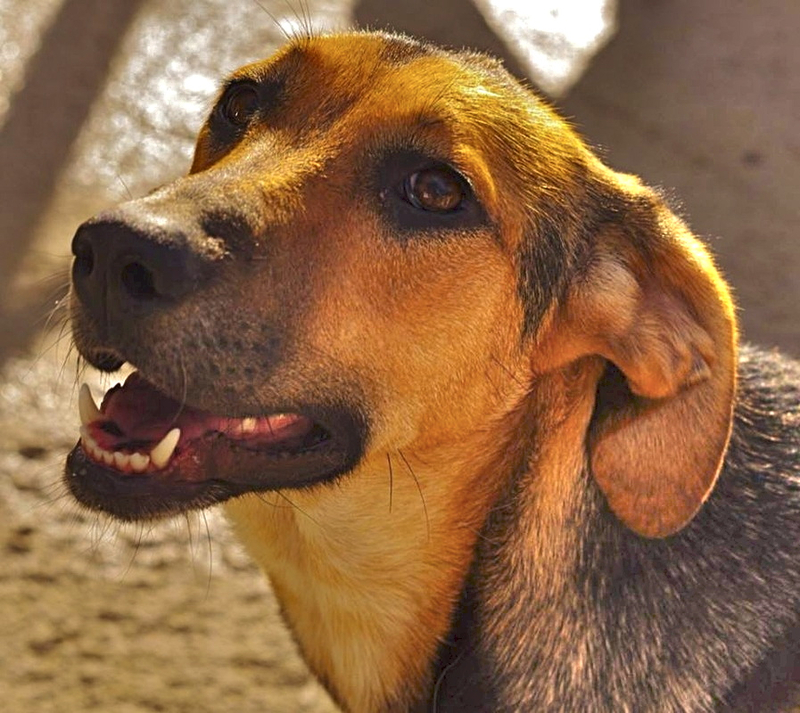 Shy at first, Lola warms up quickly to strangers and has a wonderful temperament. 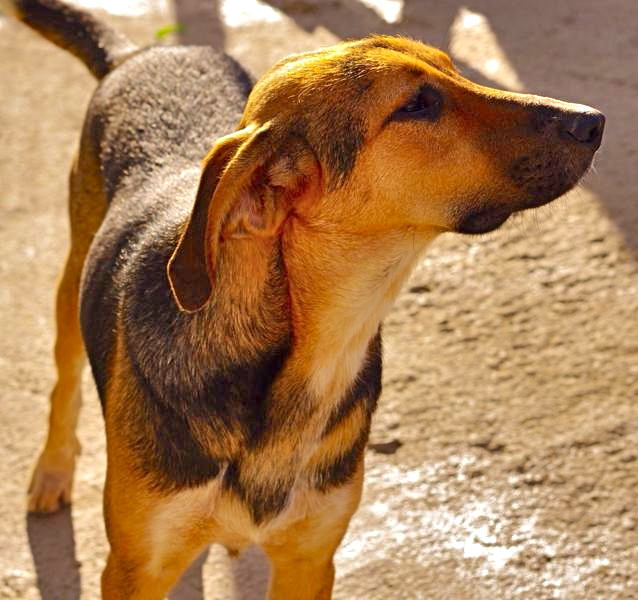 She is a typical young dog – learning to trust, playful, and energetic. She likes her cuddles and gets on well with all the other dogs at the shelter. She would do well living with another dog and/or an active family who can play and exercise Lola adequately. As a young dog, Lola would greatly benefit from basic training and this would help with her jumping up and barking when excited. Due to her size, energy, and jumping up habit, she would do best with adults and older children.